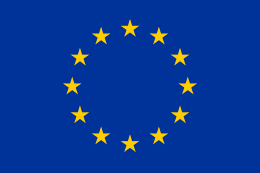 On 13 June 1999 the fifth direct elections to the European Parliament were held in the France. Once again, abstention was very high for this type of election- only 47% of eligible voters voted. 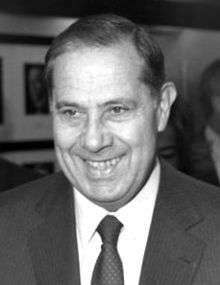 The election was also the first French European election to be won by the Socialist Party (PS). 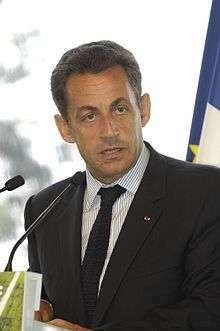 In a major surprise and historical upset for the government, Charles Pasqua's and Philippe de Villiers' list unting Pasqua's new Gaullist Rally for France (RPF) and de Villiers' eurosceptic Movement for France (MPF) list surpassed the list of President Jacques Chirac's RPR-Liberal Democracy, led by Nicolas Sarkozy. The election ended Sarkozy's immediate political future, including a run for the presidency of the Rally for the Republic – Michèle Alliot-Marie, a close supporter of Chirac, succeeded him. However, the alliance between Pasqua and de Villiers proved to be ephemeral. Indeed, de Villiers broke with Pasqua later 2000 and thus ended the RPF's chance to become a large common party for all eurosceptic Gaullists from within the RPR. The New Union for French Democracy (Nouvelle UDF), led by François Bayrou ran independently of the RPR, contrary to Chirac's wishes, for the first time since 1984. Bayrou won a relatively good result, 9.28%, allowing him to pursue his more independent political strategy (slowly distancing the party from the RPR) within the New UDF. The other winner of the election were The Greens led by Franco-German green politician Daniel Cohn-Bendit, whose list won 9.72%, the party's second-best result after 1989. Minor parties, including the agrarian populist Hunting, Fishing, Nature, Traditions and the far-left Workers' Struggle obtained very good results and elected 6 and 5 MEP's respectively. The far-right FN was penalized by Bruno Megret's dissident MNR list and obtained a deceivingly low result. The French Communist Party also did poorly.